Do you want to know more about dental implants and how they can work to your advantage? Implants are the most ideal solutions for missing teeth problems as they offer a longer-term solution compared to removable dentures. We encourage you to take advantage of the free initial consultation we offer at Life Dental implants to know more about the current condition of your teeth, and how implants can dramatically improve your quality of life. again have the normal appearance and function of your smile. 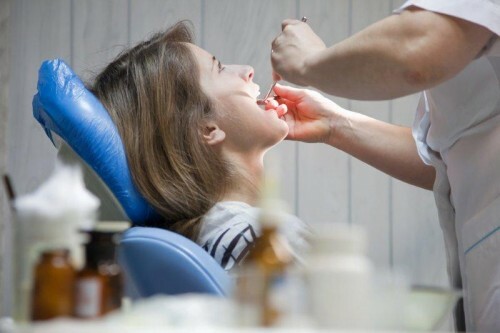 Dental x-rays are usually taken for better analysis of your dental health, and also to give you a clearer idea of what needs to be done to restore your smile. All available options will be presented, and you are encouraged to voice out any questions or concerns so the treatment can be customised according to your individual needs and requirements. Your free initial consultation at Life Dental Implants has the goal of giving you the pertinent information you need to be able to make the best decision when it comes to implants as missing teeth solutions. Are you ready to make the first step towards a great-looking smile? Call us now at 020 3239 3932 to book your free initial consultation with Life Dental Implants!